The Sprouffskes • Life on the Farm: you know what it is? rosholm, collins and i spent the friday of signature weekend relaying up at the relay for life of kent. 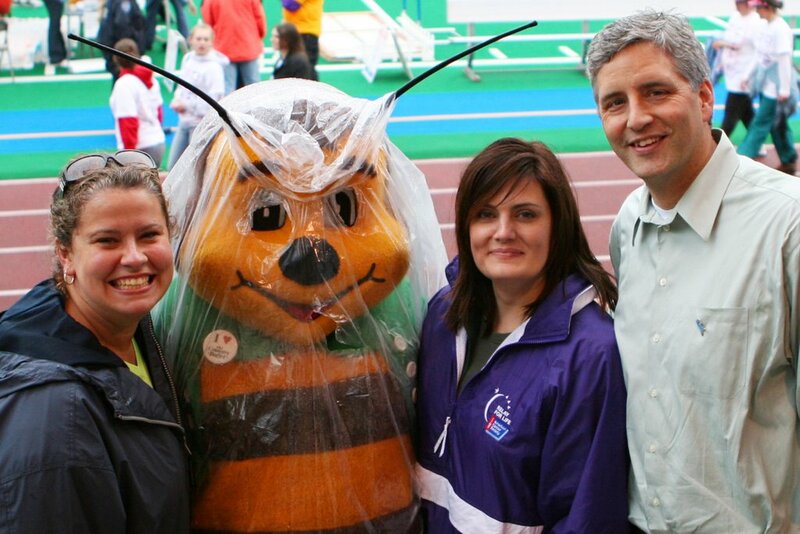 the rain that showered during opening ceremonies didn't dampen spirits. 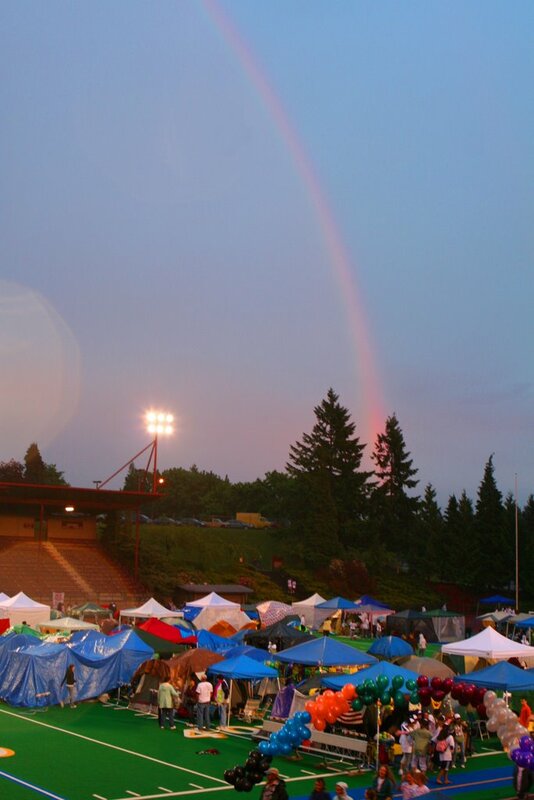 in fact, about an hour before luminaria, a rainbow shone through the darkened sky... bringing hope. 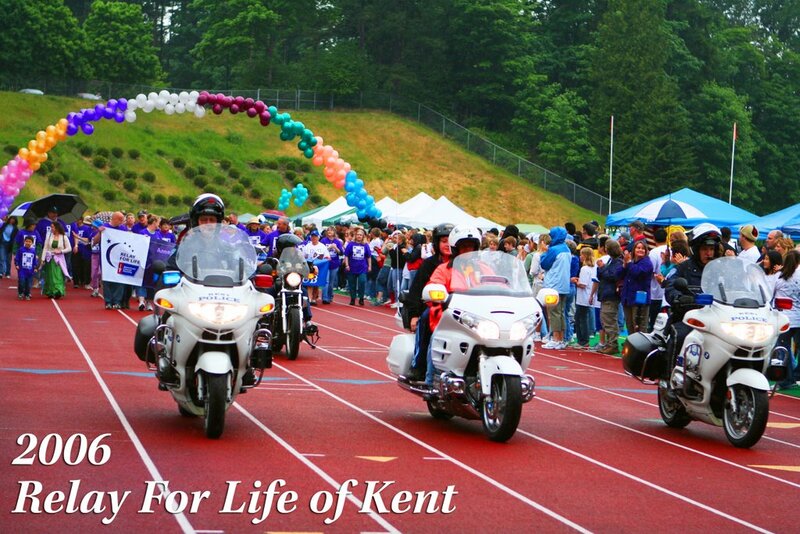 kent's relay raises $250,000+...the only relay larger in the northwest is ours in tacoma. there was something special about being there, being nearly anonymous at an event, soaking in the relay spirit. but for now, here's a few of my faves. in the opening survivors lap, three cops lead the way, two of them escorting the youngest and oldest cancer survivors. a very sweet tradition.